When my child was young, it seemed like I could still find time to be creative. Once he started schoool, things got so much harder! I work full-time but also volunteer heavily. I guess you could say my creativity comes in the form of fundraising these days. I am just in a season of life that doesn't lend itself to being creative. 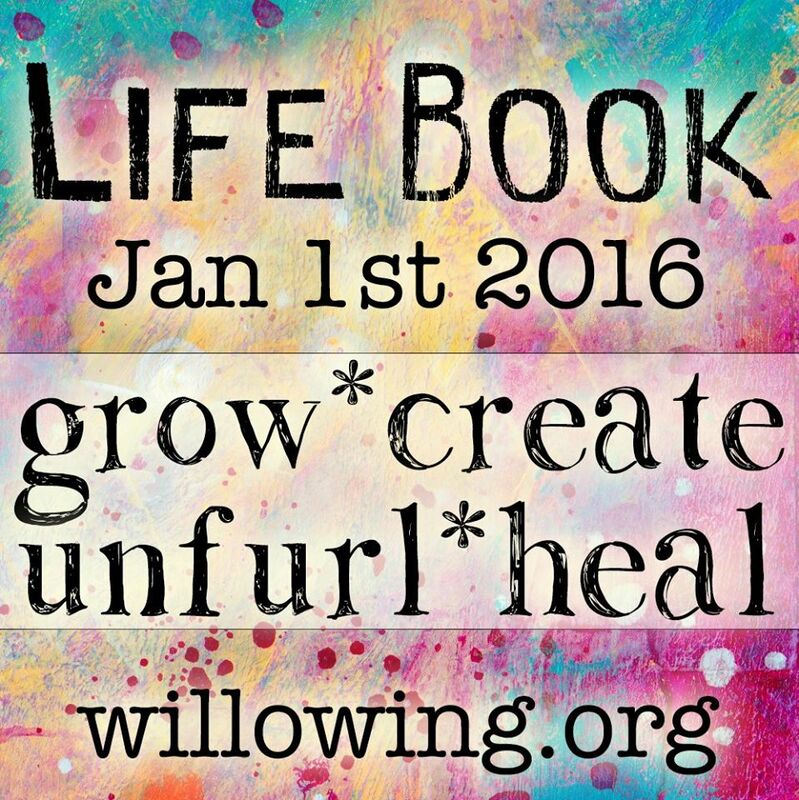 I rejoined Life Book again this year but have not done a single lesson. Right now, I am attempting to dive into the world of Bible journaling. I purchased Shanna Noel's 100 DAYS OF BIBLE PROMISES. So far, I have only finished one day. I put together a little kit of journaling items that I could take with me. Some individuals have done wonderful and elaborate painted pages. I won't be able to do that. 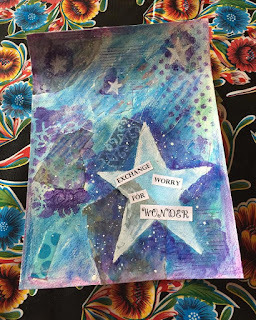 But I am hoping to start using my lunch hour to do some creative journaling and connecting with God. I wish I could remember how I first ran across Jerusalem Greer. I have been following and linking to her blog for years. Jerusalem is definitely a kindred spirit. I have enjoyed learning about her and her family over the years. As a Sunday School teacher, I often looked to Jerusalem for inspiration on how to celebrate different moments in the liturgical calendar. I was super excited when she released her first book, A HOMEMADE YEAR: THE BLESSING OF COOKING, CRAFTING, AND COMING TOGETHER. This book gave me so many wonderful ideas about how to celebrate different holidays and bring faith-based activities into my home. Another thing I love about Jerusalem is that she and I seem to have shared vision of how we would like our lives to look. She is further down the path than I am but I dream of a farm or home in the country and a simpler life for my family. 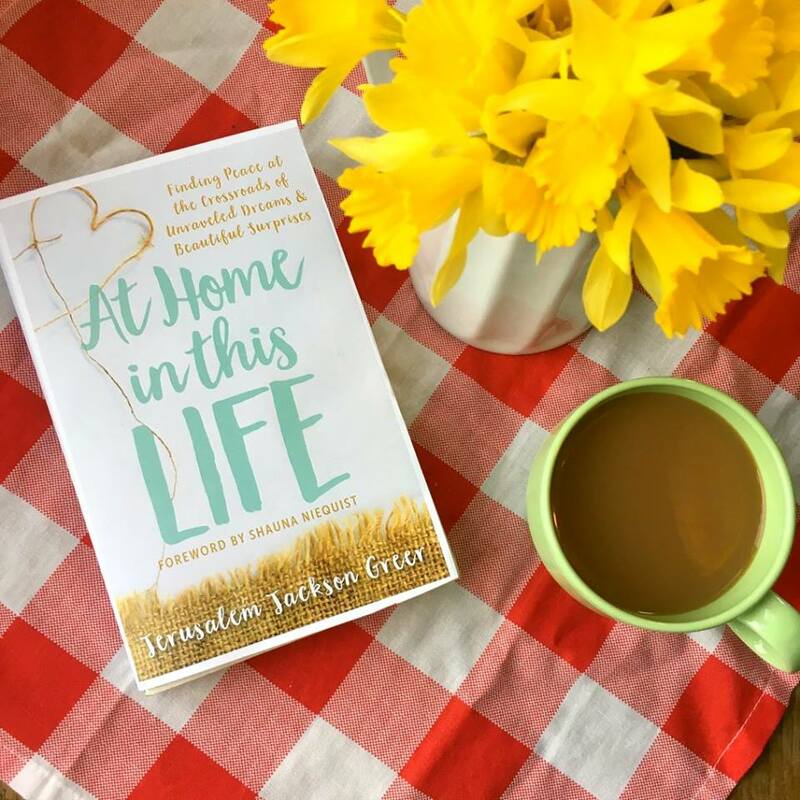 While Jerusalem has touched on her own journey on her blog, she is now exploring it in further depth with her new book AT HOME IN THIS LIFE: FINDING PEACE AT THE CROSSROADS OF UNRAVELED DREAMS AND BEAUTIFUL SURPRISES. I feel like I am at a crossroads in my life right now and I cannot wait to read this book! I just finished Shauna Niequist's PRESENT OVER PERFECT and I feel that this is the next book I need to read. "At Home in this Life is the story of how everything I thought would make me happy came undone, and then how I found a way to make myself at home in this beautiful, messy, amazingly tender, completely unbalanced life, by imperfectly practicing one spiritual discipline at a time—smack in the middle of raising kids, mending the sweaters and burning the bread." Jerusalem's new book comes out in May but you can preorder now! If you preorder the book, she is including a pre-order gift pack! To find out more about the preorder special, go here. In 2011, I chose "remember." In 2012, I chose "breathe." In 2013, I chose "believe." In 2014, I chose "thrive." In 2015, I did not choose a word. I looked at the new year with fear and loathing. In 2016, my words were "simplify" and "happiness." For 2017, I have chosen the word "strength." The end of 2016 was tough. It was hard to find motivation to do anything and I often became idle with despair. At the end of September, I started a new exercise program with Kaia Fit. I am tired of being overweight and weak. Slowly.....slowly.....slowly I am getting stronger. I want to be strong of body and heart in 2017. I want to stand strong in my convictions and my relationships and I want to find the strength to stand up to injustice wherever I find it and to be strong when others need me. Here is hoping I find strength in all different forms in 2017. Noodle and I both love to decorate for holidays. 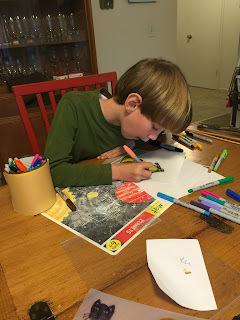 We watch the "Great Christmas Light Fight" together and dream about having the resources to do a really big display at Halloween and Christmas. Instead, we have to satisfy ourselves with some shabby lighted garland. Recently, I went on a Costco run with my friend Monique. I was helping her pick out a television. I have a love/hate relationship with Costco. I always get overwhelmed when I go and I can't focus. I end up wandering aimlessly up and down the aisles. After we picked out a television, Monique went over to the health aisle. I told her I wanted to check out the holiday decorations. Just for fun. 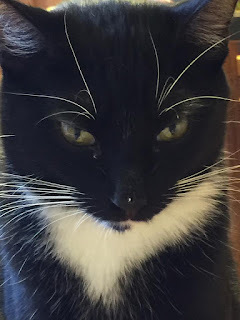 I warned her, though, not to let me get too crazy. "Costco is the kind of place where you go for groceries and walk out with a six foot tall Nutcracker." Now, there is no way I am going to spend $256 on a nutcracker. Even though I was tempted! In the meantime, our Elf on the Shelf named Crumpet brought my son a new nutcracker as he does every year. It was a big hit. I figured that would be our great nutcracker moment of this Christmas. Noodle did inform me that he asked Santa for a giant Nutcracker but he knows Santa can't get EVERYTHING on one's wish list. My husband got home today and found this sitting on our front porch. It is a giant inflatable Nutcracker. 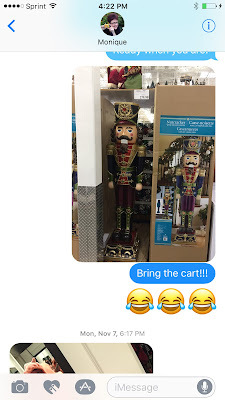 Now, very few people know about my son's love of nutcrackers and even fewer know of my joke about getting a 6 ft. tall nutcracker. So where did this come from? So far, no one has owned up to it. Thank you to our mysterious Nutcracker benefactor!!! For the past few years, we have subscribed to Bobbledy Books. It is a direct subscription service of pictures books and music for kids. Even though my son is outgrowing the books, we still love their whimsical drawings and stories. 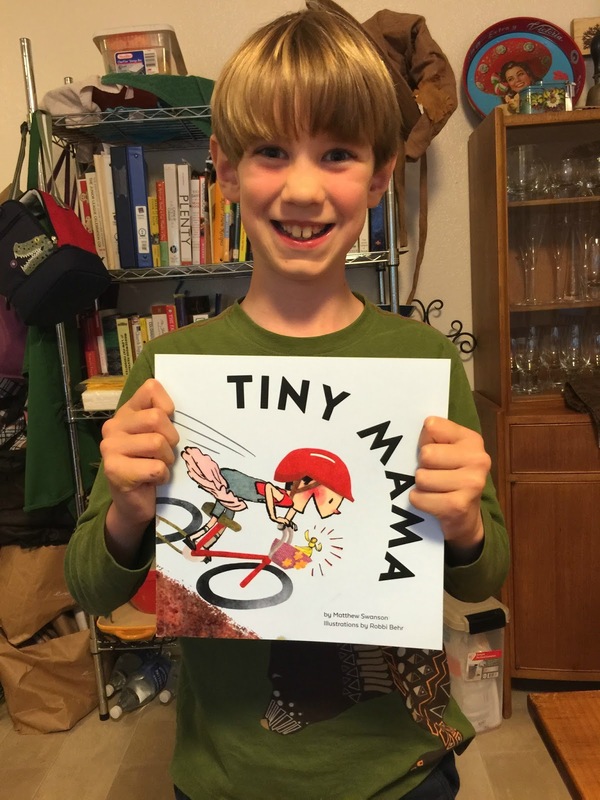 The newest book to arrive was TINY MAMA. It couldn't have been more timely. TINY MAMA is the story of a little girl who carries a doll with her everywhere she goes named Tiny Mama. Not only is Tiny Mama a loyal companion but she also whispers advice to the little girl. When the little girl is faced with the behavior of a unkind boy, Tiny Mama reminds the girl of the Golden Rule. One day, however, the behavior of the boy pushes Tiny Mama to tell the girl to go head and hit the boy. The little girl must then learn about the consequences of that action and figure out how to make things right. My 7-yr-old has been struggling lately to deal with emotions. He recently hit a friend in the face and had to face some pretty stiff consequences. I appreciated the timely nature of this book and how it talks about how everyone makes mistakes but that the important thing is to learn from them and figure out a way to make it right. I told my son he could make his own Tiny Mama for his pocket to help him remember this lesson. When I was cleaning out the garage recently, I found some packages of Shrinky Dinks. I thought this would be the perfect way to make our first Tiny Mama. There was some trial and error as Noodle found it difficult to draw his picture large enough. We didn't stop with Tiny Mama. I made a tiny version of my son that I could carry in my pocket or handbag. We also made a tiny version of our cat. Noodle was very impressed with how quickly the images shrunk in the oven. It only takes about 2-4 minutes. Our final tiny masterpieces were too small to make anything with but we already have ideas for keychains and necklaces and all kinds of other projects! This is a great activity for a rainy day. When we first moved to our new rental back in 2011, I was feeling very sad. Gary had lost his job one year prior and still hadn't found a new one. We were one year into a slippery slope of calamity and our downward slide continues. When we moved to Pacific in October 2011, I needed to do something to feel like myself. I decided to plant daffodils in the front flowerbeds. It would be months before I would be able to see them bloom but it gave me something to look forward to. 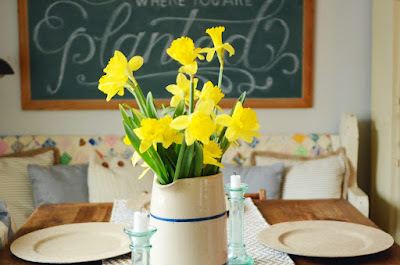 I loved my daffodils so much. It made me happy every year to see them bloom again. This past Spring, our landlord at Pacific asked us to leave. We were forced to move right in the middle of Noodle's 8th birthday and my 40th birthday. Not exactly how I had pictured celebrating these milestones. After two months of frantic searching, we ended up in a smaller house paying $600 more rent per month. But at least we managed to find something and stay in Petaluma. We packed up our belongings in boxes and decided to leave all the many plants we had lovingly planted. I left my Fourth of July rosebush that was a gift from Gary and the fruit trees I had nursed back to health after the landlord had allowed them to be choked by ivy and (most heartbreaking) my beloved daffodils. I thought the worst was over once we had settled in but I had no idea how vindictive my ex-landlord was going to be. Last week, we went to Small Claims Court. It felt dirty and uncomfortable and I hated having to do it. But that money meant a great deal to us. We received the judgment yesterday and it was a disappointment. We were only awarded about 1/4 of our claim. The hardest pill to swallow is that our landlord is charging the new tenant (who moved in exactly one month after we left) about $600-$700 more rent per month than we paid. He is not hurting for money. But I learned hard lessons and I won't make the same mistakes again. In the past, I started watching the flower beds in the front yard around this time of year. When I saw my daffodils begin to pop up, I knew Spring was on the way. I wish so much I had dug up my daffodil bulbs before we left. I had thought at the time it would be a nice gift to the place we called home for 3.5 years to leave them. Now it just leaves a bitter taste in my mouth. I saw the photo above on Natalie's blog today. Natalie has become a source of inspiration for me recently. She gives me a glimpse into the kind of home and lifestyle that I hope to build for myself someday. I don't know when it will happen. Some days I despair that it never will. I have to have hope that it will. And when it does, I hope there will be daffodils. A few years ago, I did the Life Book course. 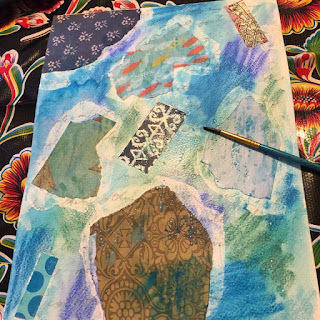 I loved the combination of mixed media art lessons combined with self-help. It challenged me to really think about my life and to be creative on a regular basis. This year, I decided to try again. My creative life has dried up over the past few years. I think about how I used to make things all the time when my son was young. I sewed and painted and knitted and did all sorts of things. Then, my creativity dried up along with my joy. Over the past five years, fear and anxiety have taken over my life and squashed my happiness. This year, I am going to try and take it back. As you all know, we moved to a new rental house last Spring. I lost my workroom. Now, I have some of my art supplies on a baker's rack in the kitchen/dining room. Much of my supplies are still packed up in the garage. I am already behind on Life Book because I am still trying to find my materials. It is frustrating and I have come close to throwing in the towel. This weekend, I finally gathered enough materials to attempt the first creative warmup. Bacchus was fascinated and got right in the middle of my work. He ended up with paint on his nose. While this isn't my best work, it's a start. I am going to try to "exchange worry for wonder" this year. I need to get my happy back. 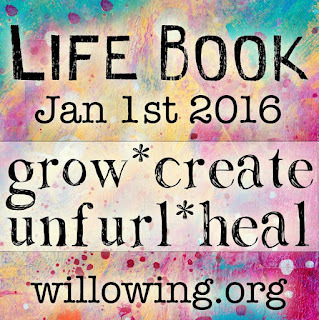 If you'd like to join me in Life Book, you can register here any time. All the videos are available the whole year so you are never behind. I have been participating in picking a Word of the Year since 2011. It's time to renew this practice. This year, I decided on two words which I think will go hand in hand. 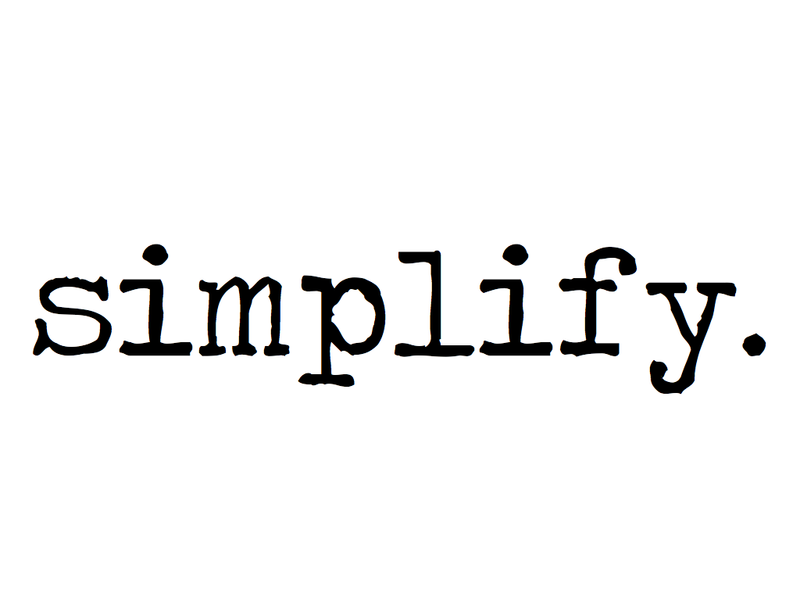 The first word is "simplify." Oddly enough, I had already decided on this word when I discovered the The Bloggess chose it as well. I need to rid my life of clutter and stuff. Not only physical items but emotional and mental clutter as well. It's time to decide what really matters and get rid of the rest. Along with that I chose the word "happiness." The last time I felt truly happy unfettered by fear and anxiety was in 2010. That was when my husband lost his job and we started a downward spiral that continues today. 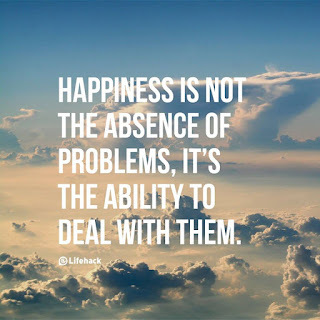 While my problems continue, I must remember that I can control my reaction to those problems. 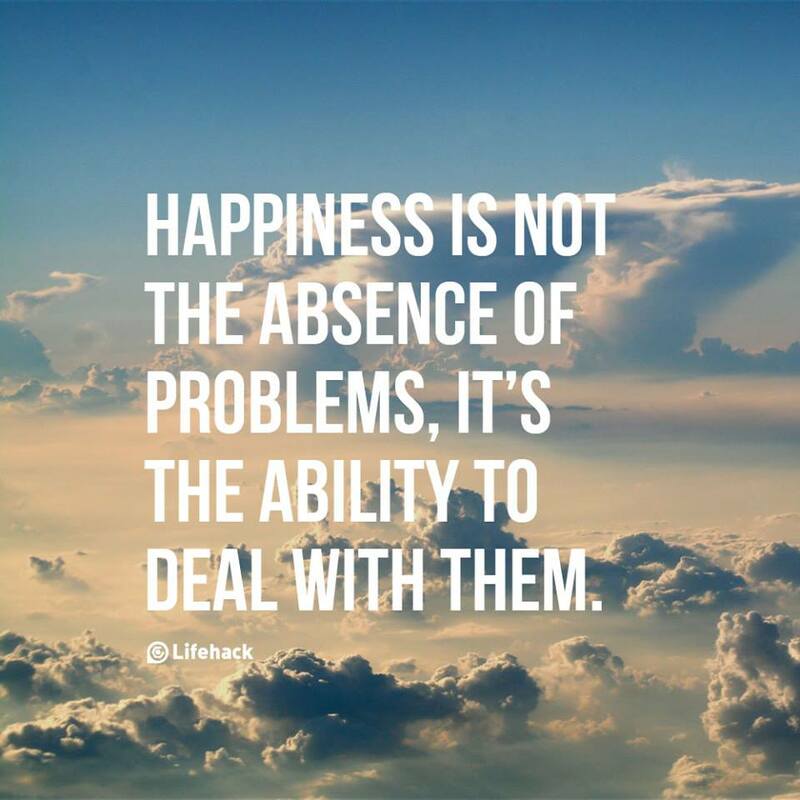 I cannot let these challenges steal my happiness. Life is short. It's time to get my happiness back. It is so much harder now for me to do anything creative. We are in a smaller house and my only work space is the dining table where we eat. So I can't leave any projects out! We have three birthday parties this month. Money is always very tight so I tried to think of something I could make as a present. All three boys like "Star Wars" and I thought it might be fun to make something "Star Wars" related since the new movie is coming out. 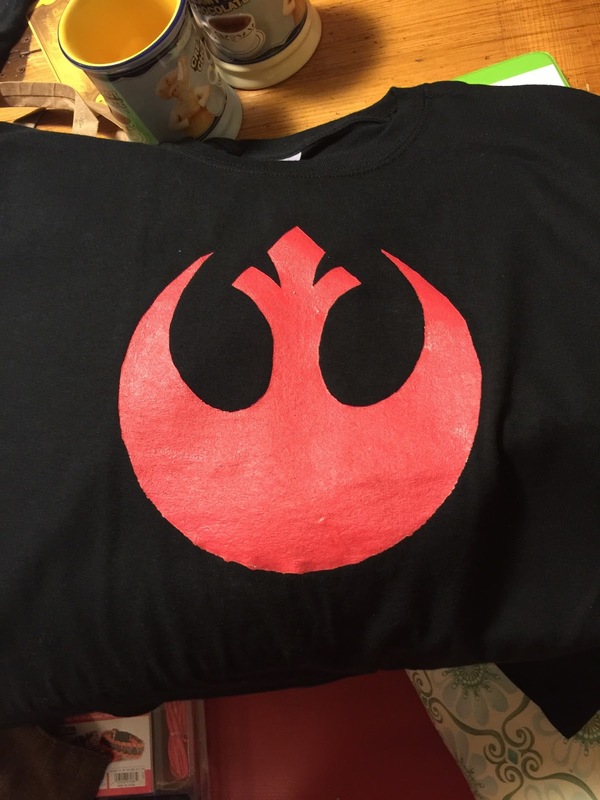 Recently, I saw a man walking down the street with a Rebel Alliance tshirt on. 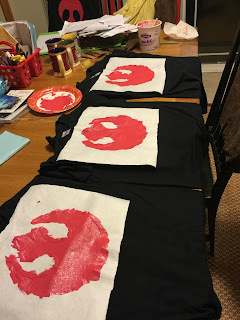 I loved the graphic quality of the image and felt confident I could make something using the Freezer Paper Stencil technique. There are freezer paper stencil tutorials all over the internet so I won't go into too much detail. 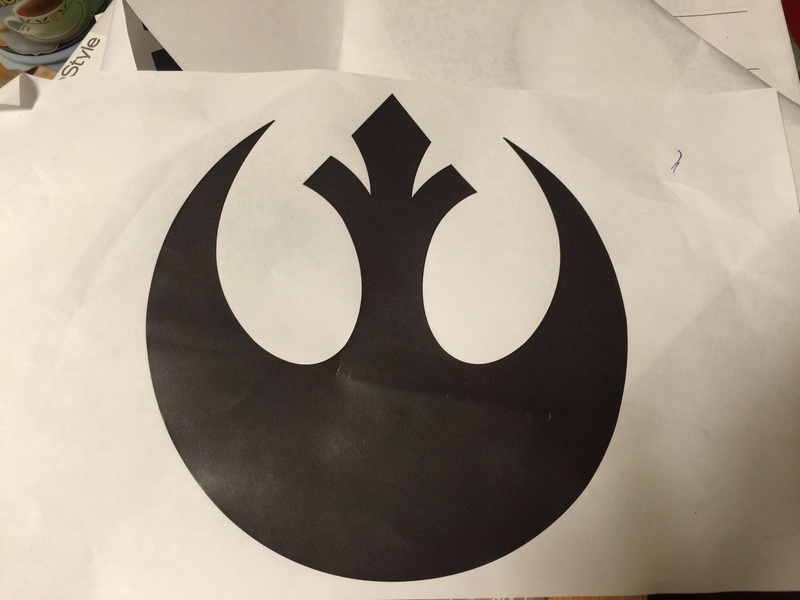 First, I searched for an image of the Rebel Alliance symbol and printed out an enlarged version. I then laid a piece of freezer paper over the image and traced it with a pencil. I cut the image out of the freezer paper to make a stencil. Once you have your stencil, you will need to place it on your tshirt with the shiny side down. Use a hot iron over the paper to get it to stick to the shirt. Make sure all the cut edges have a nice seal. I placed a paper shopping bag inside each shirt to prevent paint from soaking through. You will probably get some bleeding and you don't want it to soak through to the back of shirt. You want a nice sharp edge to your image so I prefer to dab the paint on with a foam brush. It is much better to dab paint on from above than smooth it on within the stencil. You don't want any paint to get under the edges of the stencil. I don't like the black to show through so I did a first pass when the paintbrush and let it dry. Then, I went back over a second time. Once the paint has fully dried (don't rush this! ), carefully remove the stencil. When you are peeling, bits of the freezer paper can sometimes get left behind. I pulled some off with tweezers. The rest will eventually come off in the wash. I think the shirts look pretty cool! Hopefully, the boys will like them! I know I haven't checked in in awhile. My life is at a very strange point. When we moved in May, I lost my office so I am now down to a baker's rack in the kitchen. My only space to create is the dining table. Since the dining table is our only eating space, I can't leave any projects out. I have felt completely uninspired for a long time. I look at photographs of all the things I used to make and it makes me sad. When Noodlebug was little, I sewed him handmade clothes and costumes and knitted him things and made him toys. 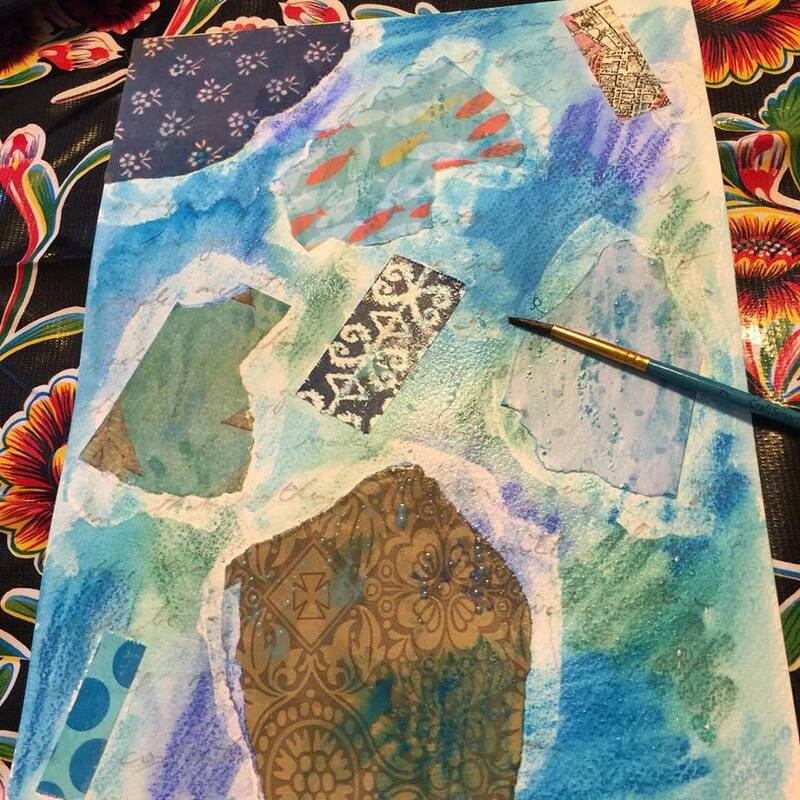 Somehow I even found time to create mixed media canvases and other projects. Now, I don't do anything creative. It is as if the stress of life and constant financial worry has drained all the creativity and drive out of me. I did mange to pull together some Halloween costumes. This year, our little family went as some of the Feelings from "Inside Out." 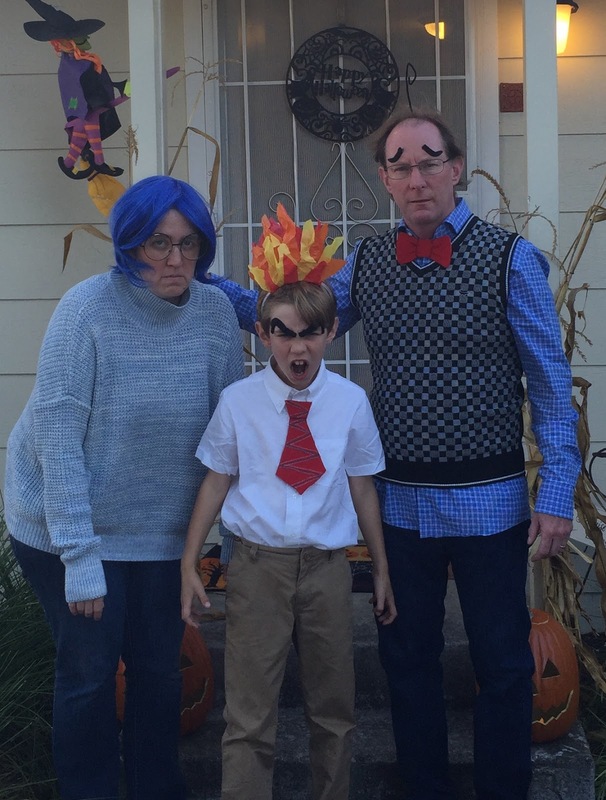 Meet Sadness, Anger, and Fear. I'm not sure how to get my creative mojo back. I'm feeling a bit lost right now.